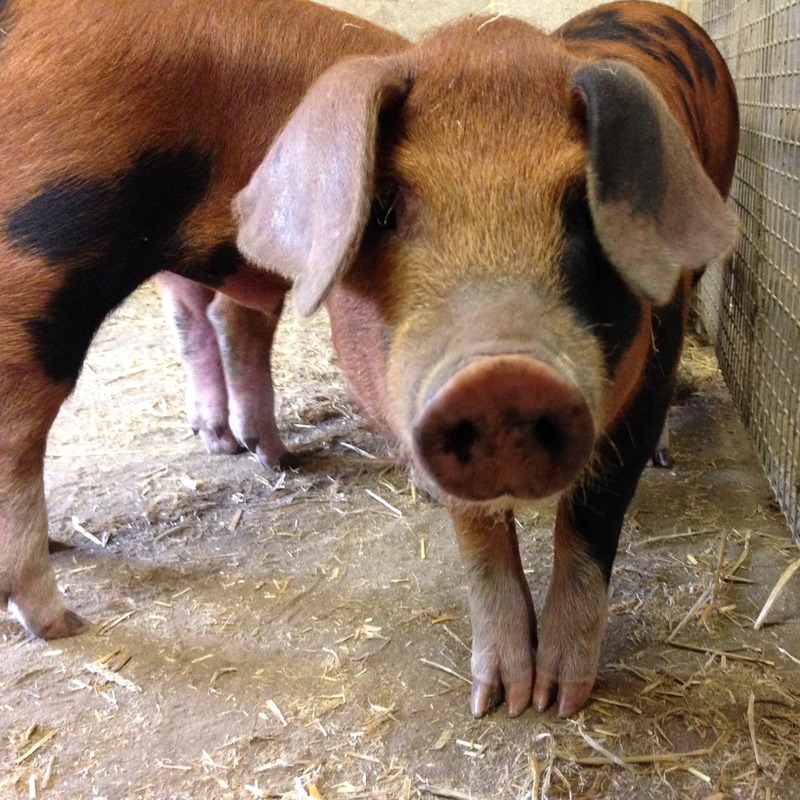 Surrey Docks Farm is home to some gorgeous ginger spotty pigs! This breed is called Oxford Sandy & Black. We have two breeding sows (females) called Winnie and Marmalade, they were born at another farm and came here at 8 weeks old in early November 2017. 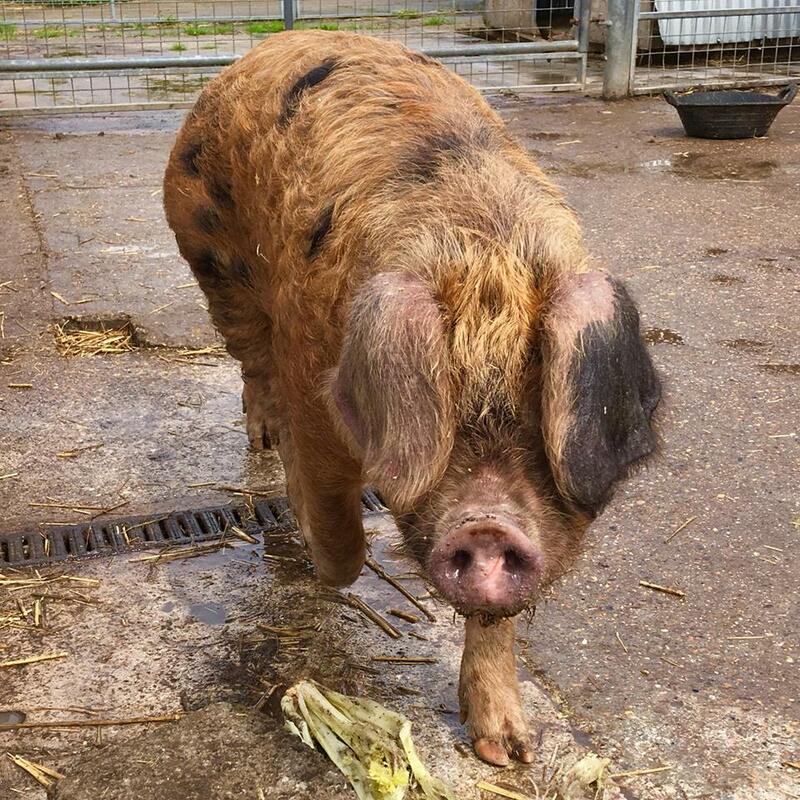 We also have a boar (male) called Rupert, who arrived in April 2018. Our Oxford Sandy & Black pigs live in our pig housing by the fields in one corner of the Farm. Thanks to generous funding from Veolia, Southwark Council, Lusso and the Worshipful Company of Farmers we installed this wonderful new housing in winter 2016. The sows breed here and visitors will be able to see piglets through the windows of the pig house – our next litter is due early May so do keep a look out! The Oxford Sandy & Black pig, sometimes referred to as the “Plum Pudding or Oxford Forest Pig”, has existed for around 300 years and is one of the oldest British pig breeds. 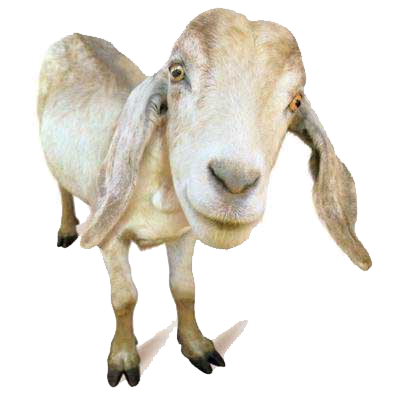 The breed is noted for its many qualities, particularly their excellent temperament and great mothering abilities.